Dude! Dude. Duuuuuude! Dude? Dude. *nods sagely* Dude. It's a word that basically can mean pretty much anything you want it to mean. And, in North Star Games' latest game, Dude, you do just that. 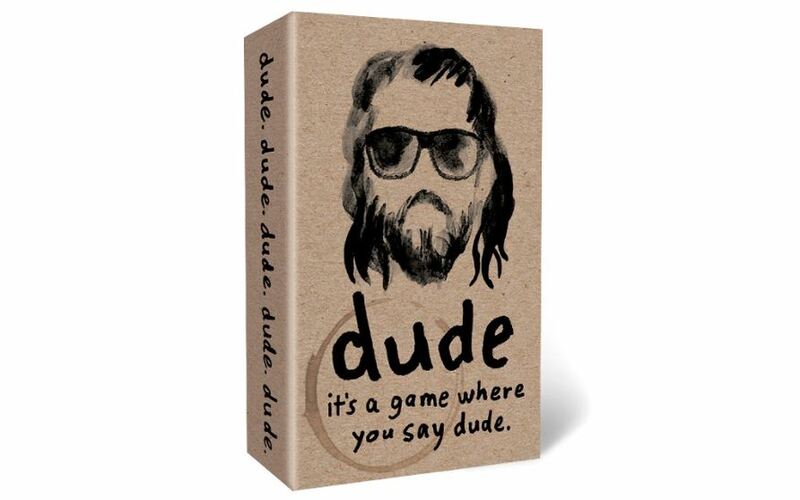 Players draw cards with different ways to say dude and you must try and match up with someone else meaning the same thing as you all say dude in different ways. More Dude brings in things like saying dude like a robot or a surfer and such. Both are available exclusively from Target and Target.com. Come from the land of the ice and snow. From the midnight sun, where the hot springs flow. Yes, from up in the arctic circle (or for those that read Greek, the bear circle), there's many adventures to be had. 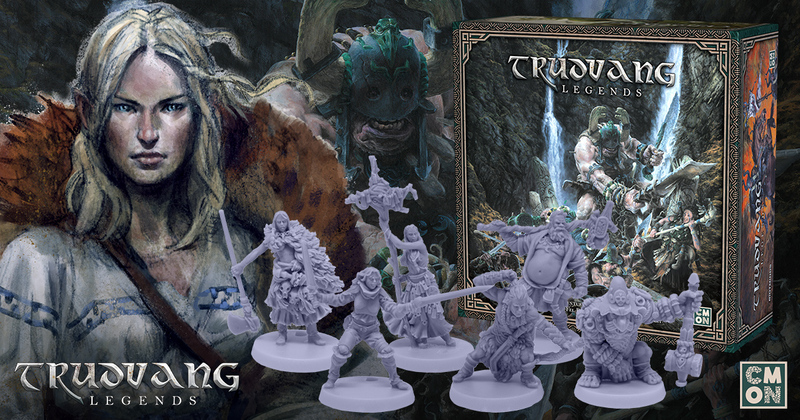 If you want to carve a legend for yourself among that harsh land and hardy civilization, you'll have to be tough and cunning. And that's just what they bring you in Svilland Saga, a new campaign setting for 5th Edition that's coming to Kickstarter soon. Money doesn't grow on trees. But it can be printed on a press. It puts a whole new spin on "making money." 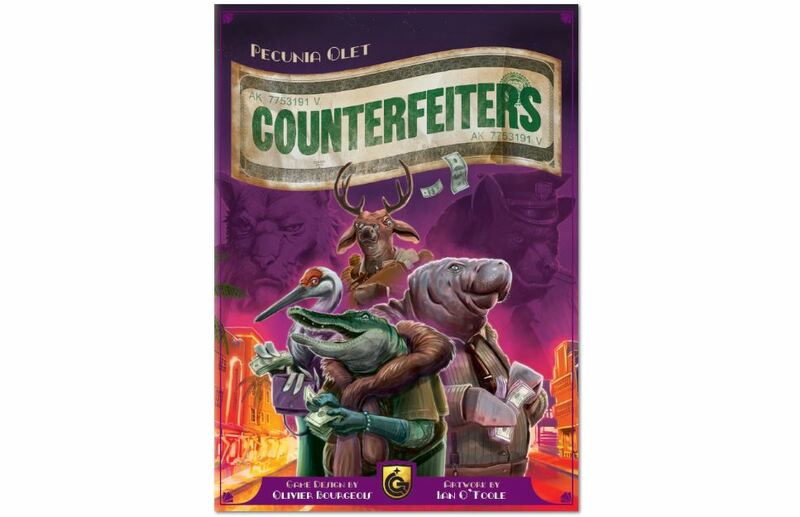 In Counterfeiters, players take on the role of the titular criminals and must produce and pass off their funny money without getting caught. The Traveler has been chosen! Actually, they're just wandering around South America, seeing what they can see and sharing their wisdom as they go. 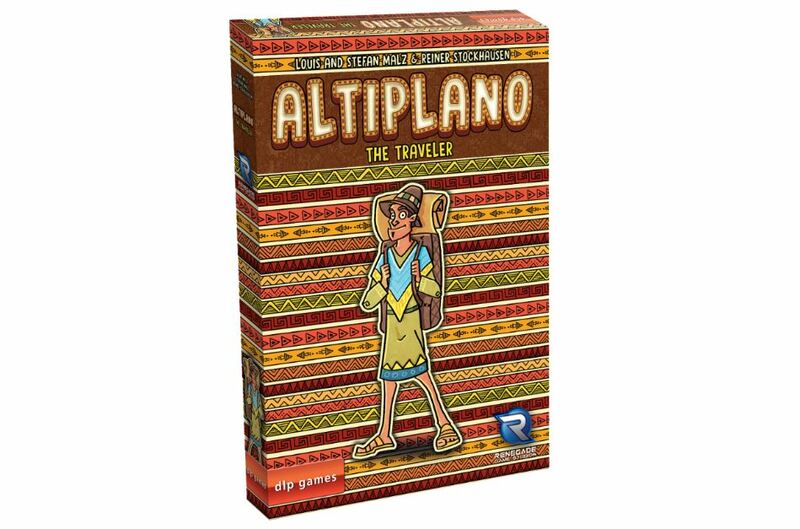 The Traveler is the new expansion for Altiplano coming from Renegade Game Studios and dlp Games. There's new locations, resources, and more, all in one box. I'm sure there's quite a number of you in planes, trains, and automobiles, headed to Indianapolis. And when stuck in those modes of transportation, there tends to not be much to do. Well, one thing you can do is listen to some gaming podcasts. And that's just what we've got for you here. 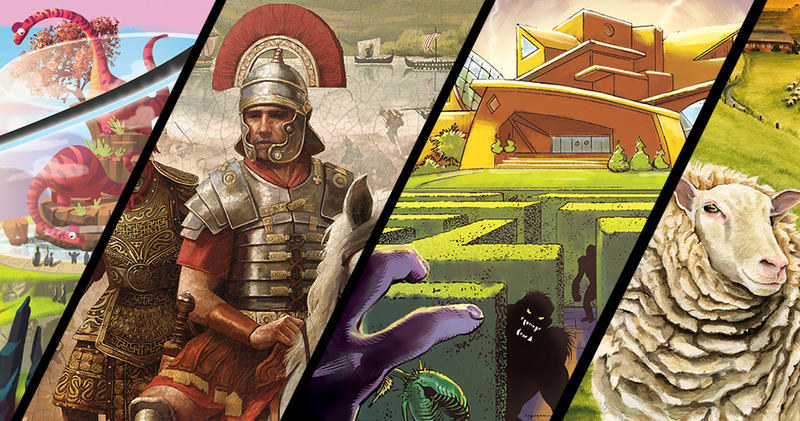 Today on the dial we've got: Game Classy Episode 168: Tourney Blues; Playin’ and Slayin’ Episode 20: Gen Con 51 Prepisode; Blight and Boon Episode 12: Scenario Focus – Life; Blue Peg, Pink Peg Bonus Episode: Designer Deep Dive- Detective with Ignacy Trzewiczek; The Polyhedron Collider Cast Episode 45: The cutting edge of gaming; Epic Gaming Night Podcast Episode 165: Gencon preview! 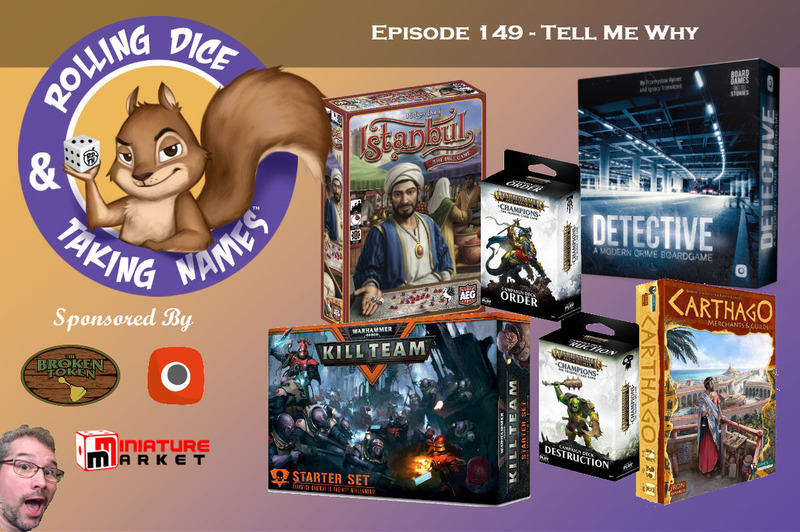 ; Rolling Dice & Taking Names Episode 149: Detective, Carthago, Istanbul the Dice Game, Warhammer AoS Champions & Kill Team; The Cardboard Herald Episode 90: Greg Loring-"The Loremaster"-Albright explains what the heck is a "pervasive game"; The D6 Generation Episode 240: Scouting Geeky Tours & Teaching Game Design; The Secret Cabal Express 40: Gen Con 2018 Preview and Gen Con 2017 Look Back; and The Offline Gamer Episode 32: The Great Indoors 2018. In the far-off and distant future, humanity is no more. The only thing that's left are the armies of robots that we created and programmed to fight. But not with guns or tanks or bombs, these robots are designed to sword fight to the finish. And, being robots, they remember past mistakes and always are improving their skills. In the end, only one robot will be victorious. 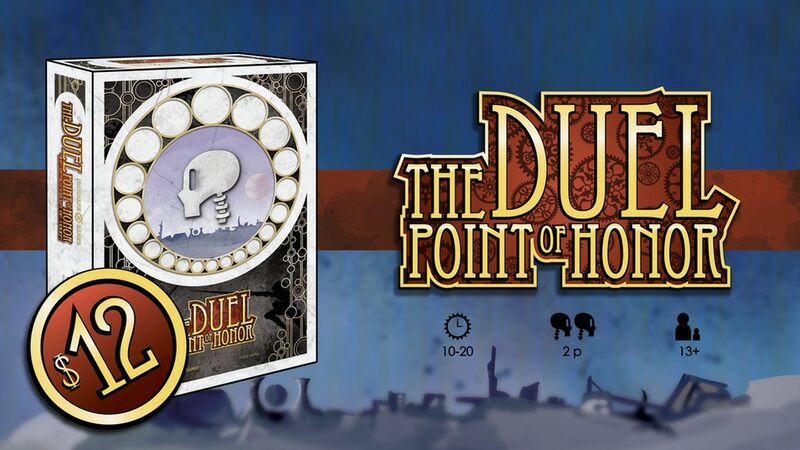 That's the story in The Duel: Point of Honor, a new strategy card game that's up on Kickstarter now. Alright! You've done it! You've survived or stopped the apocalypse! Time to move on to the next one! What? You thought that one was all you had to deal with. Oh no, good traveler, there's plenty more where that came from. 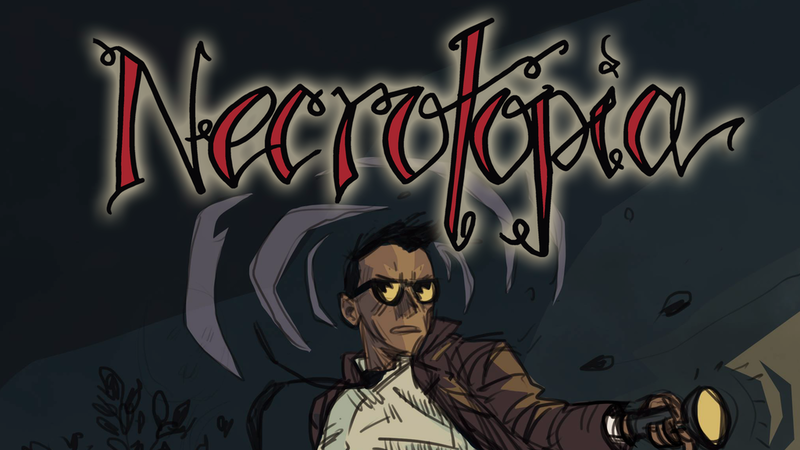 And that's what you'll be up against in Necrotopia, a new RPG that's up on Kickstarter now. No, not the Earth, I'm not an idiot. 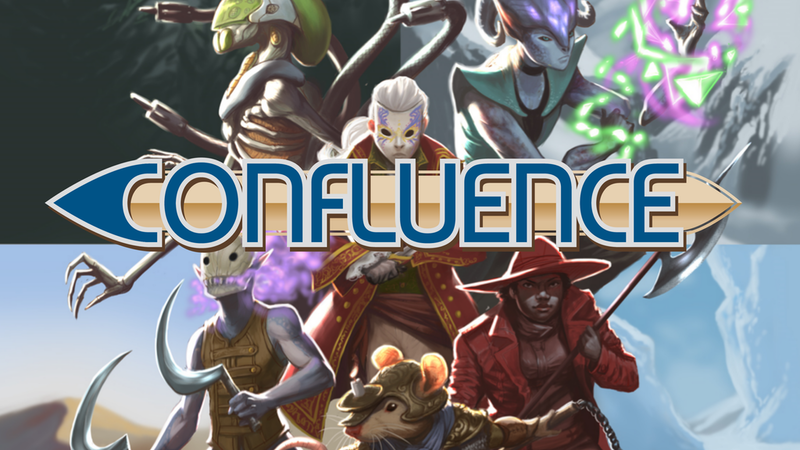 I'm talking about the world of Confluence, the 9th of 14 world in the Cosmic Mirror. It's flat. And there's 4 suns (because My 3 Sons just wasn't enough). However, it's not a healthy world, as it's about to collapse. Who will be able to save it, and who will simply be crushed? That's up to you. 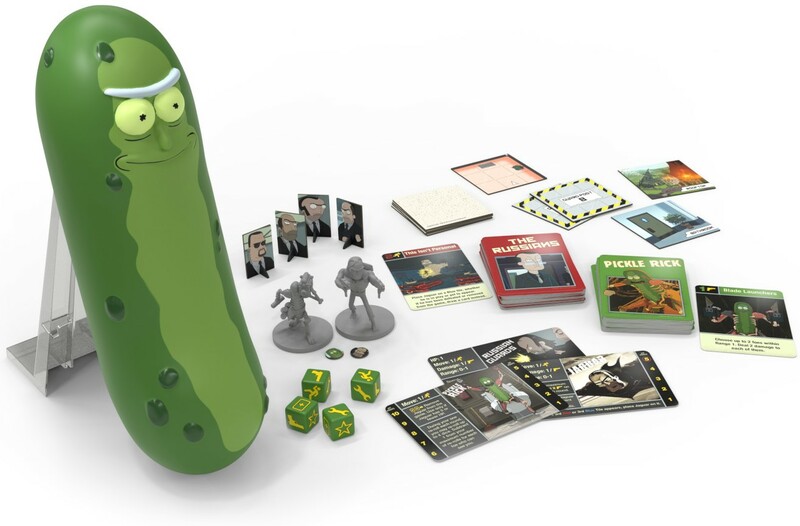 The RPG rulebook is up on Kickstarter now. Many of you out there have played Dead of Winter and loved it. You're hungry for more! Well, while it's not another Dead of Winter expansion, Plaid Hat Games has announced what amounts to its spiritual successor. It's called Gen7, and it puts players on board a space ark as it heads across the galaxy. However, about halfway through the trip, things aren't going entirely right. But what's the actual issue and how can it be solved? That's up to the players to decide. While the Rebellion might've started out as just a rag-tag group of individuals fighting against the Empire, they've become a fighting force that, while they can't match the Imperial's numbers, they can certainly match their skill. The Rebel Commandos are elite troopers, trained in small-squad tactics and able to perform surgical strikes on enemy positions. Check out their rules for Star Wars: Legion. Sports, generally speaking, are meant to be played as a tourney or as part of a league. You have your event or season, and the teams play games/matches against each-other over the course of it. 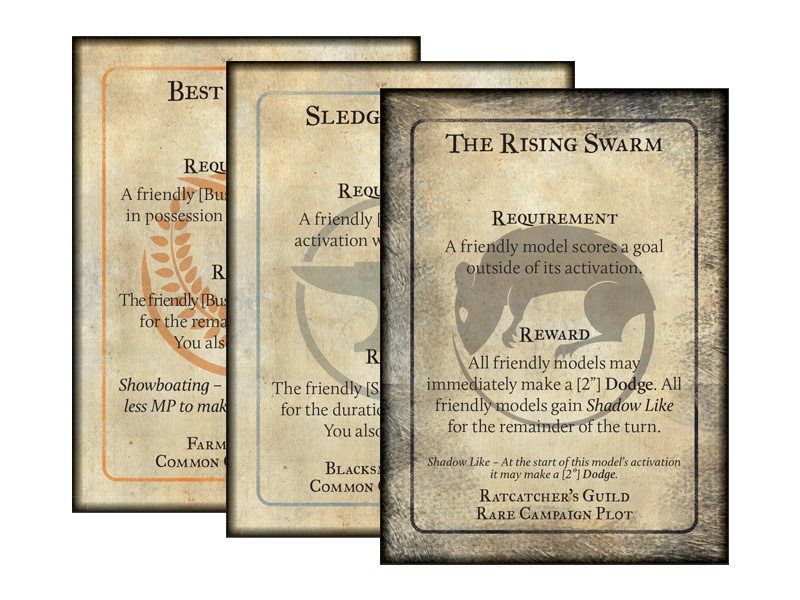 For Guild Ball, that was the Big League, originally released in Season 2. Well, the game has changed quite a bit since then, and now Steamforged is updating the Big League for Season 4. Yarr arr yarr! I loddie the hotpants! It's a pirate's life for me! Hey, I downloaded from Napster back in the day. That counts, right? 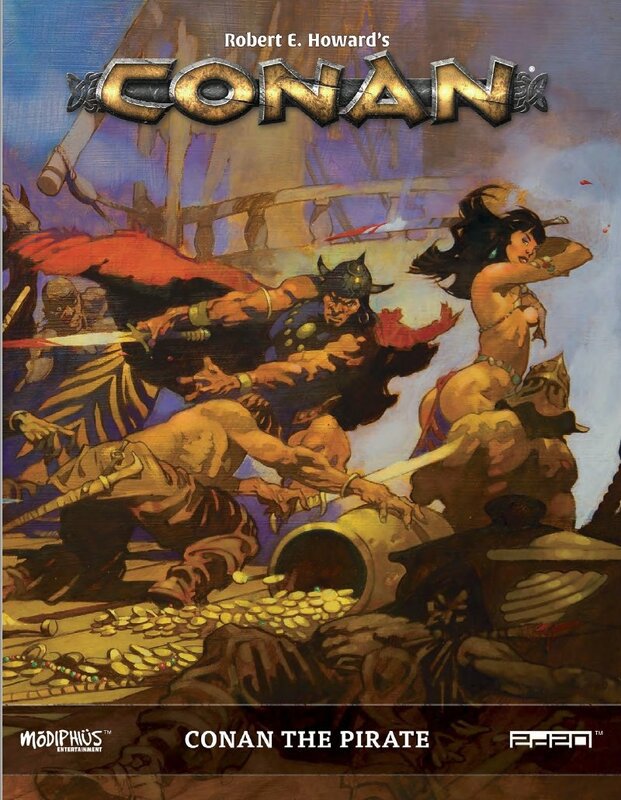 Ok, so maybe I'm not much of a pirate, but Conan is, and so can you when you play the Conan RPG from Modiphius. They've released the Conan the Pirate supplement in pdf format. At the center of a game of Guardians are the Guardians (it's kind of right there in the name). In this first preview for the game, Plaid Hat Games goes right in with a look at how these Guardians cards work, how other cards work with them, and what other things you can expect them to work like. 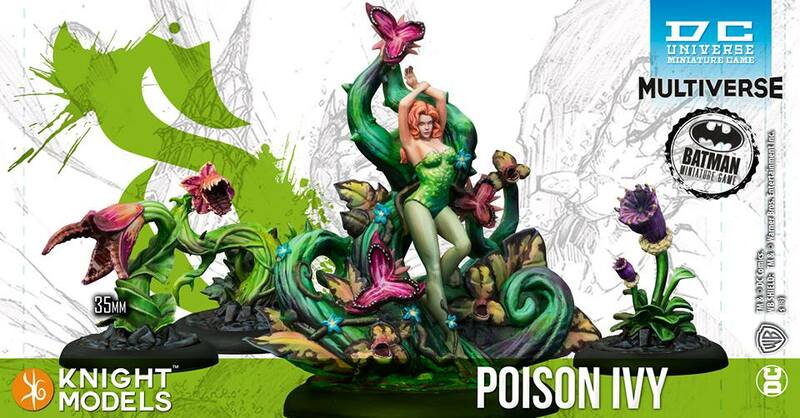 Two recent factions are getting things this release wave from Privateer Press. The Crucible Guard, the brand-new alchemist faction has a trio, including Combat Alchemists, the Dragon's Breath Rocket Launcher, and the Liberator light warjack. Then, sneaking its way in there, is the Hollow Holden attachment for the Grymkin. Kinda out of nowhere with that one. Ah, well, as you finish getting ready, be sure to check out today's terrain articles so your tables can look as good as the ones at the show. 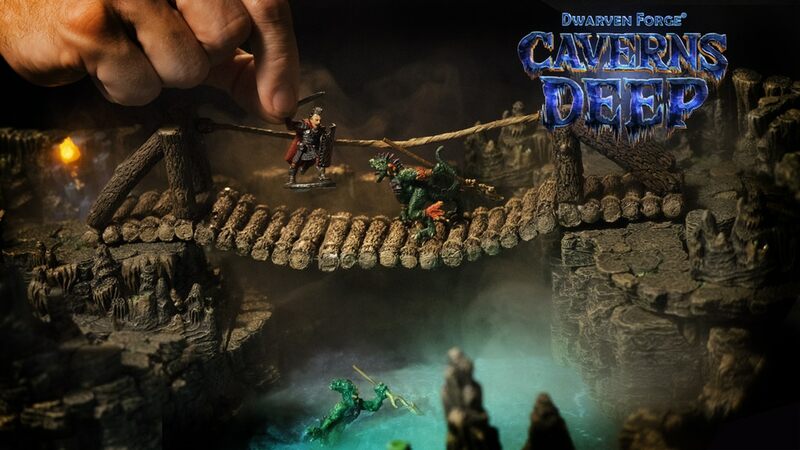 Today we have: Dwarven Forge Running Caverns Deep Terrain Kickstarter, New Sarissa Precision EL Alamein Station Scenery Set, New Post-Apocalyptic Terrain Available From Plastcraft Games, and North Pass Gaming Mat Available From Pwork Wargame. Fighter/Rogue, Wizard/Ranger, Warlock/Barbarian, there's all sorts of combinations you can make. Multiclassing is a way to have a bit of variety with your characters. But how will it work in Pathfinder 2.0? We get a look at that. Along with it, Paizo is showing off a bit about different Archetypes as well, which can further differentiate characters in a class from one-another. Knight Models has a huge batch of releases for the Batman and DC Universe Miniatures Games. There's classics like Poison Ivy, Booster Gold and Blue Beetle, and The Falcone Crime Family, among others. Also King Shark, because we just passed Shark Week. They are also taking orders for their show-exclusive miniatures, which include Batman (Nightmare) and Luna Lovegood in her lion hat. It's hot out. Ridiculously hot. Dangerously hot. It was also dangerously hot outside during the North Africa campaign during WWII. Though the danger was as much from enemy snipers and artillery as it was the heat. 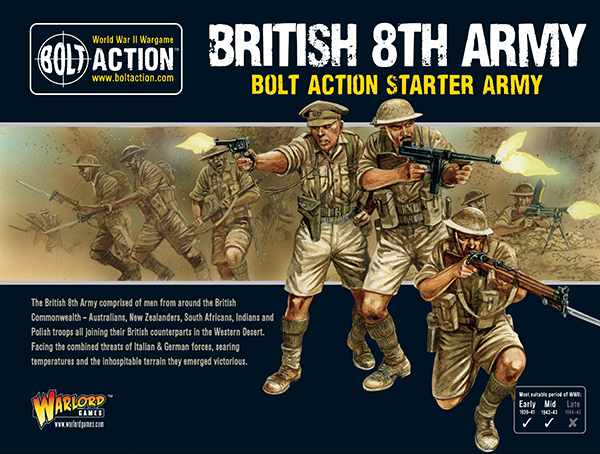 Warlord Games is taking us back to those desert offensives with their latest Bolt Action releases, including a new Western Desert book and special pre-order model. 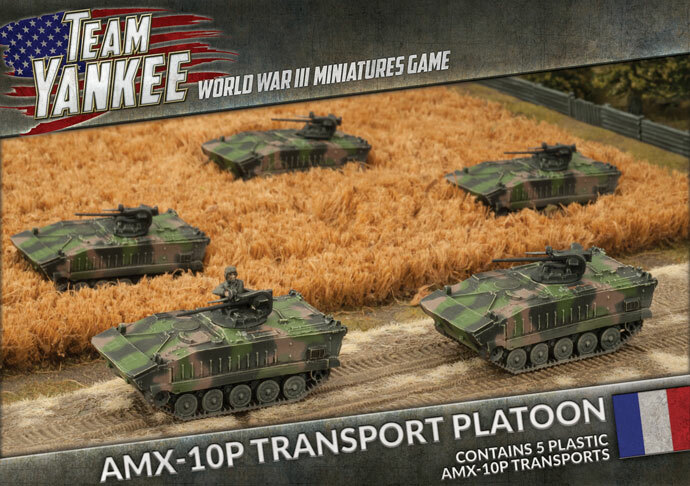 Games Workshop is bulking up both of their latest games with this week's pre-releases. For those that have picked up Kill Team, there's some new starter sets, including Tyranids and the Imperium (plus loads and loads of new dice. #NoSuchThingAsTooManyDice). For those that are going along with the new edition of Age of Sigmar, both the Stormcast Eternals and the undead are getting new releases, including a new version of the legendary Black Coach. We all know what it's like to be in high school. You've got all the various cliques: the jocks, the cheerleaders, the band geeks, the nerds, the aliens, the espers... Wait, what? 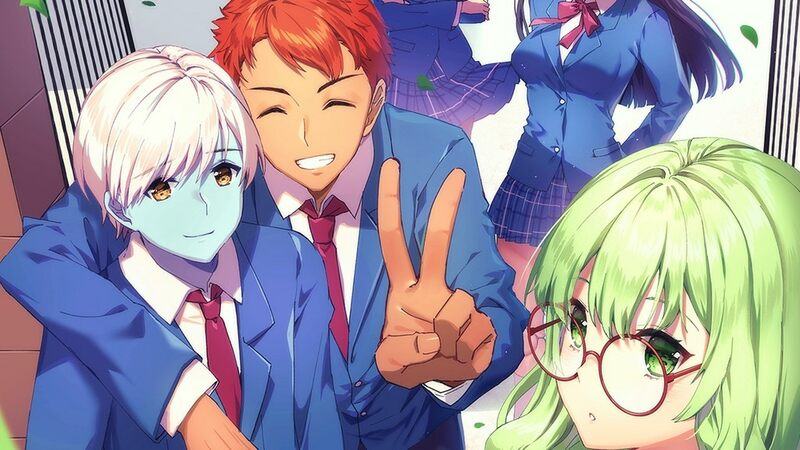 You've got those cliques if you go to Oddity High, at least, it's a new RPG up on Kickstarter about your average, everyday Japanese high school that just happens to have all sorts of fantasy and sci-fi characters that go there.